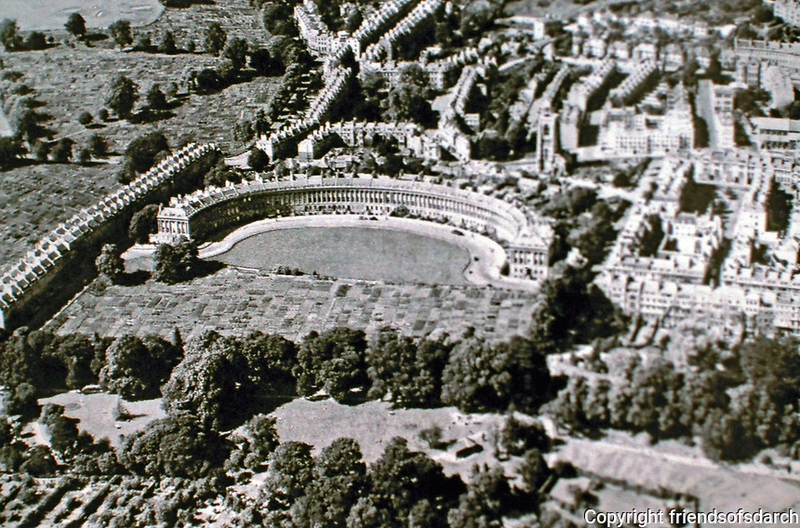 A panoramic view of the Royal Crescent in Bath, England designed by John Wood the Younger, 1767-1774. It is a great example of Georgian architecture. 500-foot-long (150 m) crescent has 114 Ionic columns on the first floor with an entablature in a Palladian style above. 30 terraced houses.